Diary Not much to be said about this really. Just a place to stop before crossing into Malawi. Green Safari Hotel and camp, unfortunately next to a Mosque, so were all woken up at 5am. Had fish for dinner which actually consisted of two heads and two tails…where did the middles go? 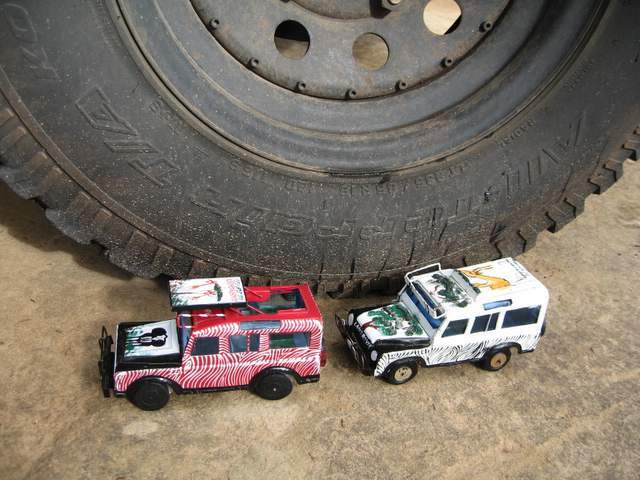 PIC SHOWS: LAND ROVERS SEEM TO BE MULTIPLYING AROUND HERE.